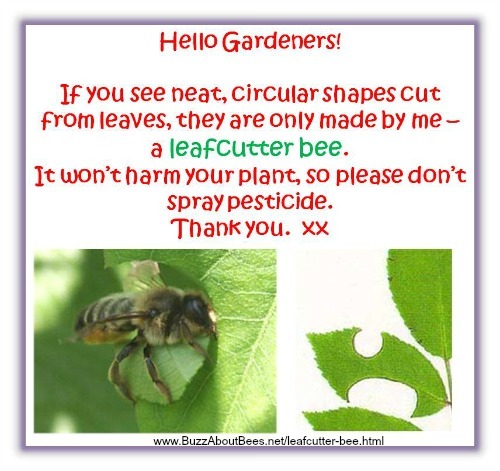 You could use them to pin on a wall in a school, allotment shed, or in a building used by a youth or kids' activity group. 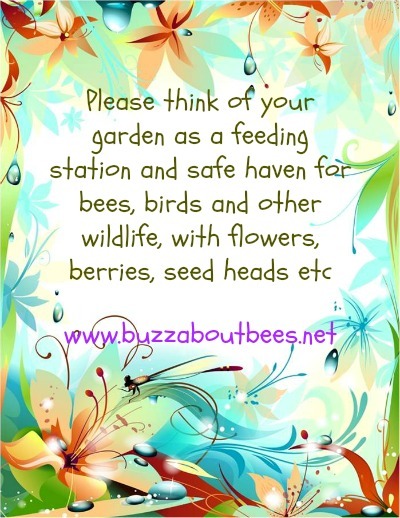 They are designed to help raise awareness about bees and how we can help them, and I will be adding more posters every now and then. 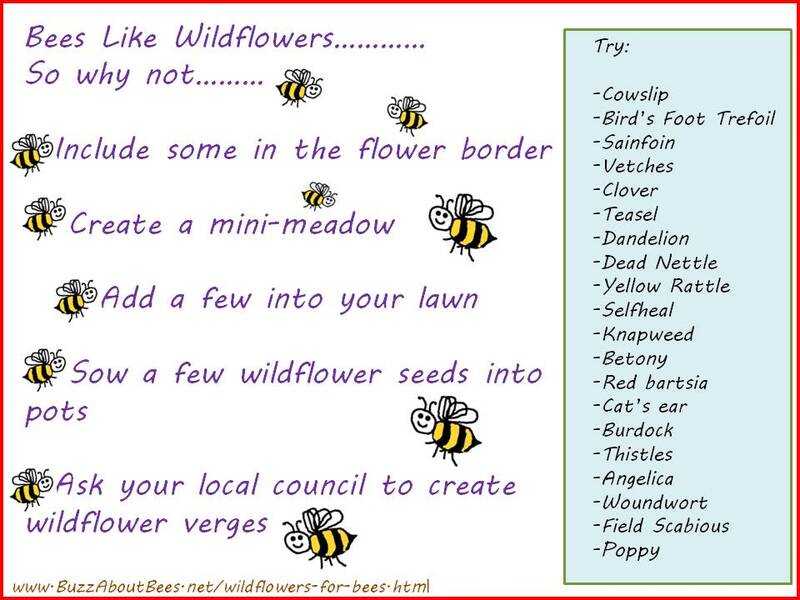 Also, please see the links below to educational activity sheets which you can also print out. 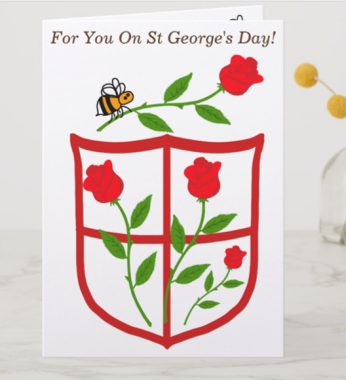 You can also pin the images on to Facebook - see the images in the right hand margin! Note: Clicking on each link opens a new window. 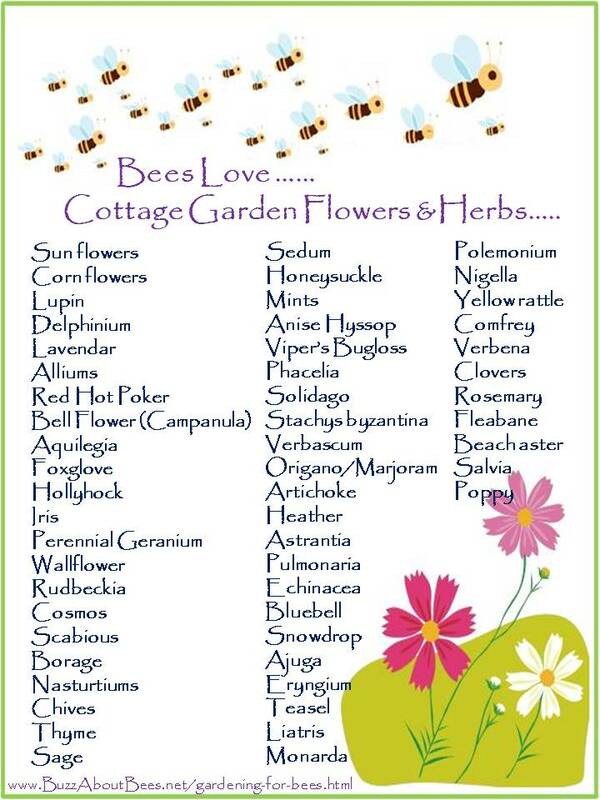 Simple list of flowers and herbs enjoyed by bees. 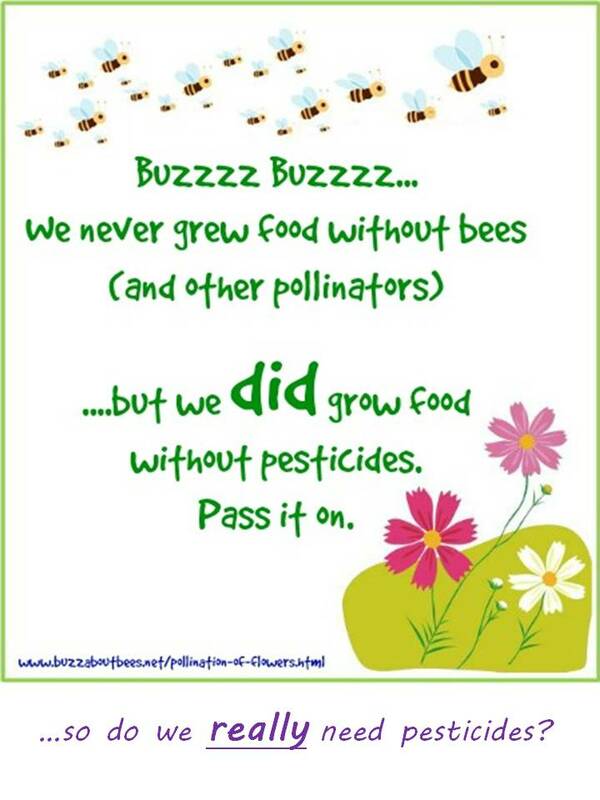 Help spread the word about the value of wild flowers for bees! 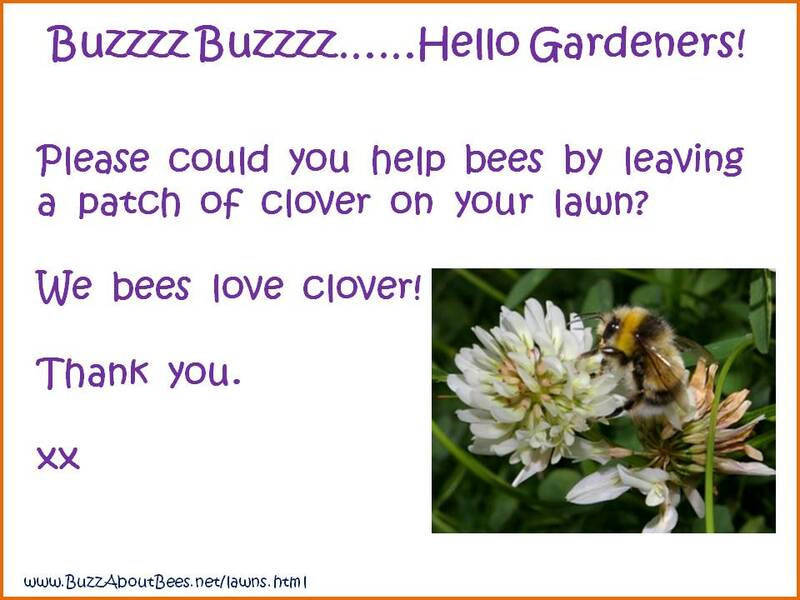 Allowing a patch of clover to flourish in the lawn is a very easy way for people to help bees. 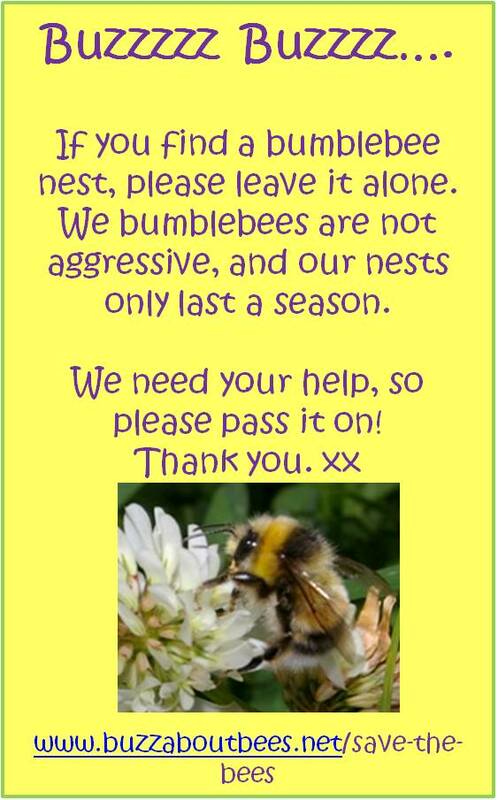 Please Leave Bumblebee Nests Alone - They Only Last A Season! 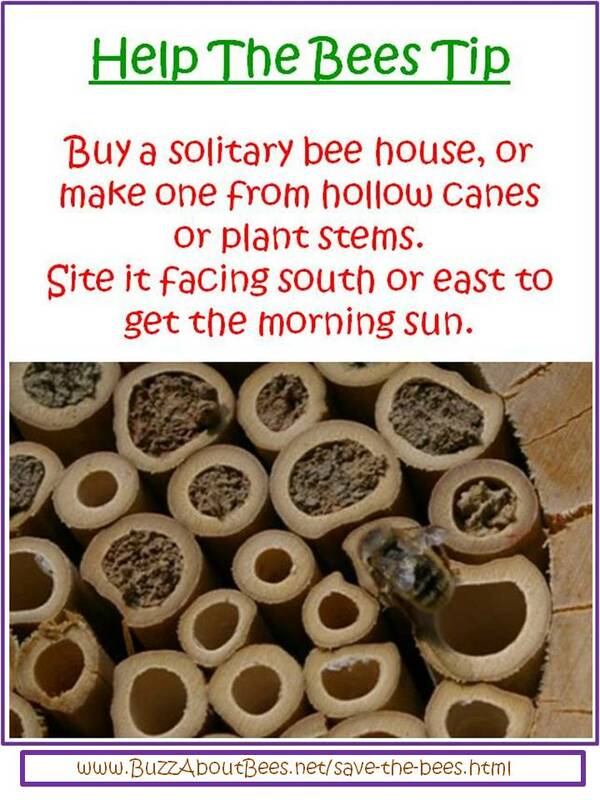 Solitary bees are helpful pollinators and can be attracted to the garden with a simple bee house. 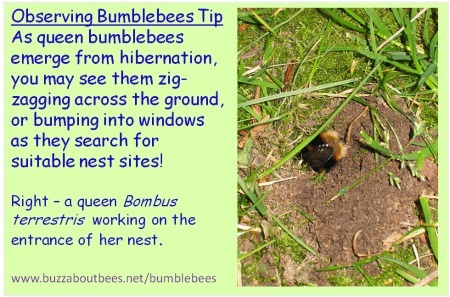 Some Bees Hibernate In Hollow Stems! 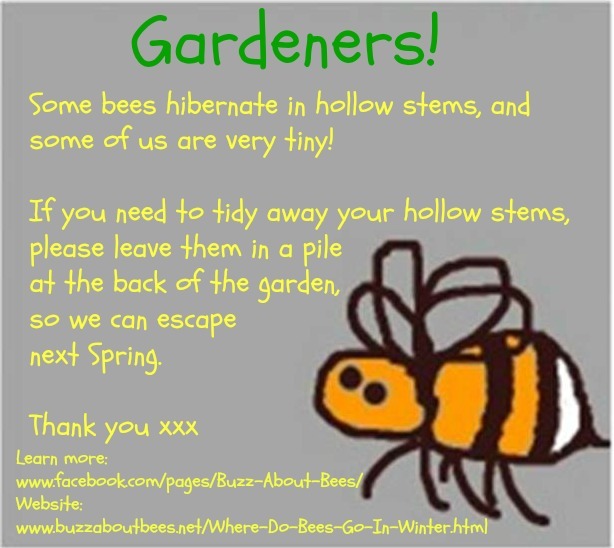 Many people burn the hollow stems in their gardens at the end of the year. 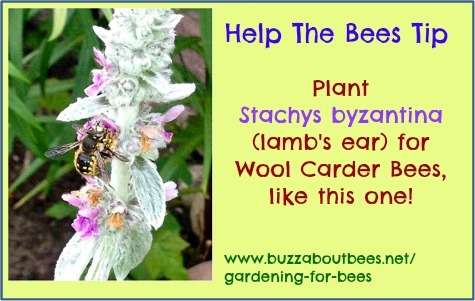 Please help raise awareness that there may be tiny bees hibernating in the stems. 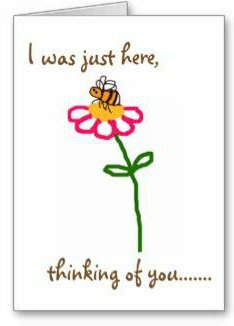 Some may look like little black flies, being only a few millimetres in length!